with the aid of his apprentice, Adso of Melk, a Benedictine novice. action involves solving the maze as well as the mystery. terrestrial labyrinth. You might enter and you might not emerge." for keeping track of where you are in it. conjecturality is the labyrinth. But there are three kinds of labyrinth. thread of Ariadne. 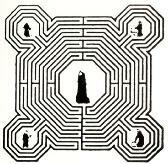 The classical labyrinth is the Ariadne's-thread itself. hands a kind of tree, a structure with roots, with many blind alleys. The Name of the Rose was published in 1980 to surprising success. Rose in 1986. It starred Sean Connery and Christian Slater. maze within 13 hours to keep Jareth from turning Toby into a goblin. Lucas and designed by Brian Froud. has become a cult film with an audience of women as well as children. 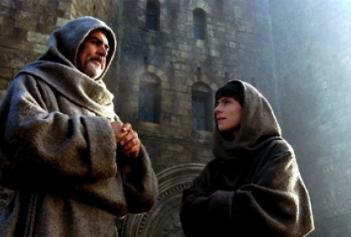 dressed as various characters in the film. Bosnian lute player Edin Karamazov. Lake House near Wiltshire, England, and Il Palagio in Tuscany. 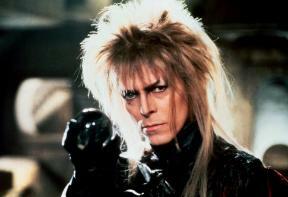 Songs from the Labyrinth topped the classical charts for some time.